Obsessed with butterflies - I.A. Pre dve godine prvi put sam u izlogu radnje "Patrizia Pepe" u ulici Kralja Petra u Beogradu ugledala veliki bros u obliku leptira. Odusevila sam se. Prvi leptir - bros je ubrzo bio moj a zatim se porodica leptira uvecavala. Sada su tu i mindjuse i drugi brosevi. A ovo modno flertovanje ima opasnu tendenciju da postane opsesija. Ali kako im odoleti kada i najsivlji dan pretvaraju u instant prolece svojim divnim bojama a svakoj kombinaciji dodaju prstohvat one "neke" magiju. Zelim vam lepu nedelju. Sta vama popravlja raspolozenje ? 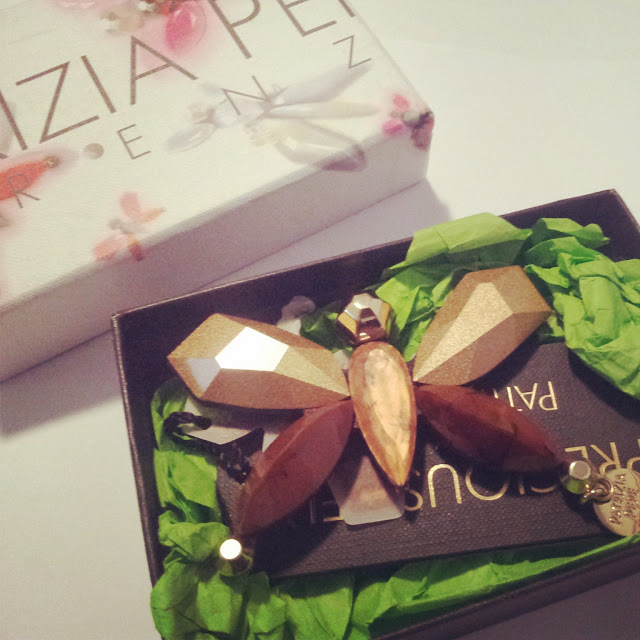 Two years ago,was the first time I saw in the shop window of"Patrizia Pepe"store in Belgrade, a brooch in the shape of a butterfly. I was delighted. 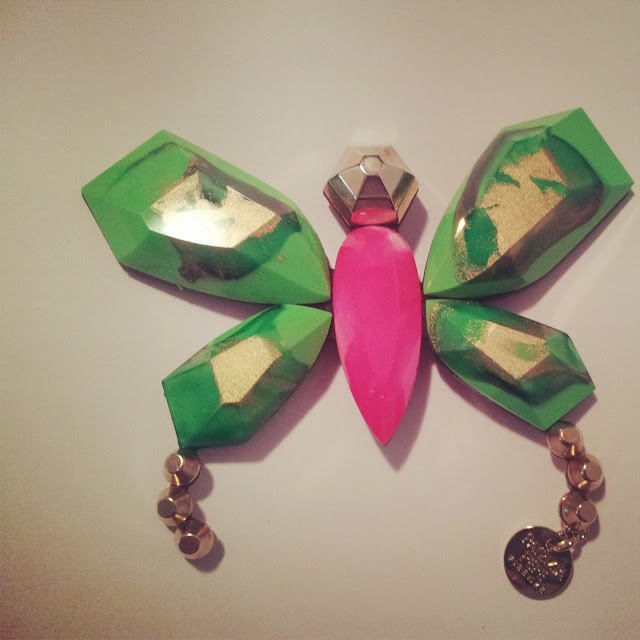 The first butterfly - brooch was soon safely in my jewelery box.Since then my "Butterfly"family increased. 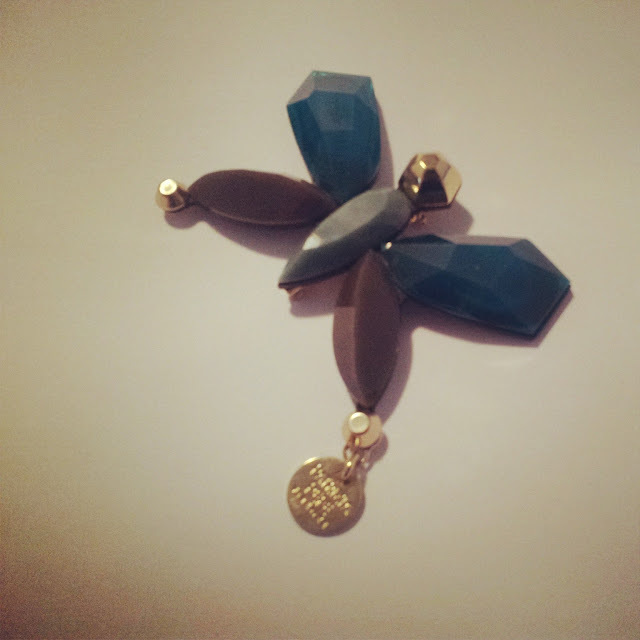 Now I have the earrings and brooches and other pieces. And this fashion flirting has a tendency to become a dangerous obsession. But how can you resist them when they can the worst day turned into an instant spring? Their beautiful colors and any combination add a dash of "some" magic on every combination. How do you improve your mood ? 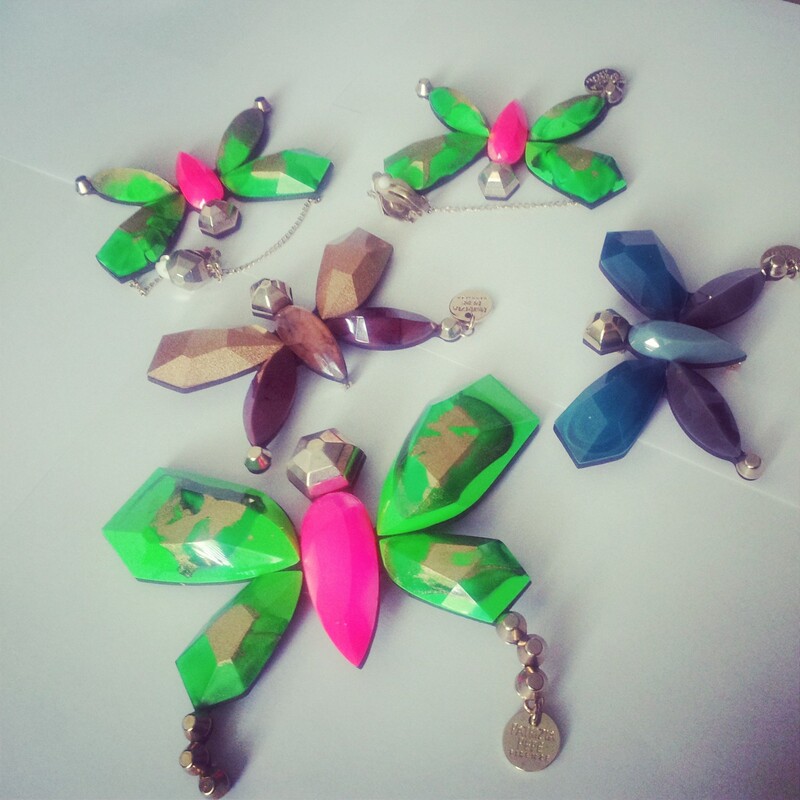 Those butterfly pendants are super cute! I love the bold colors on them. 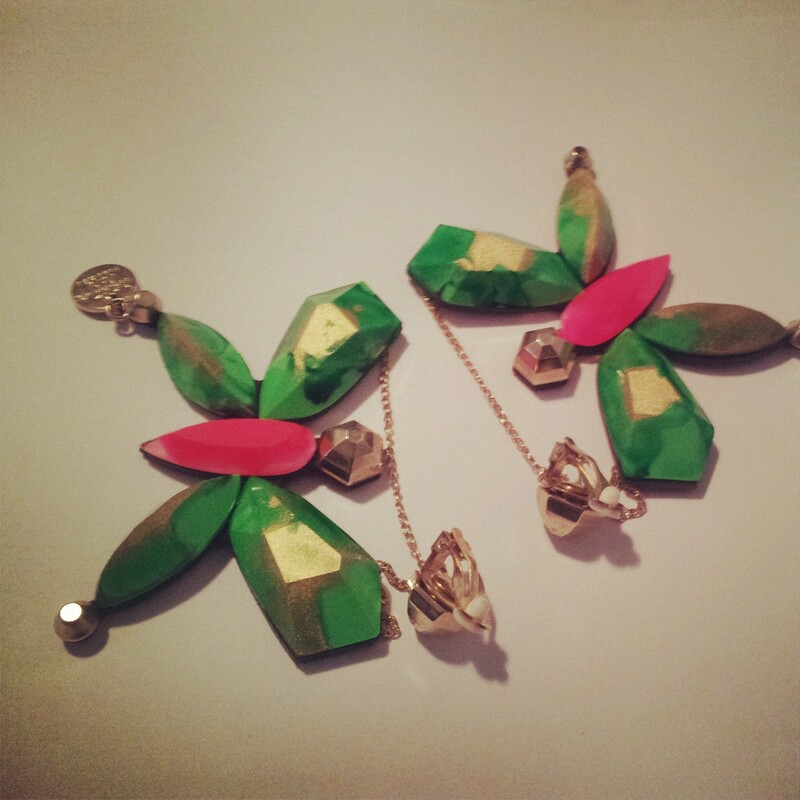 I remember this collection, i love these pieces!!!! Check back soon to see me on Inside Me! Oh wow, those are terriblly pretty, I love the different colors in each butterfly.